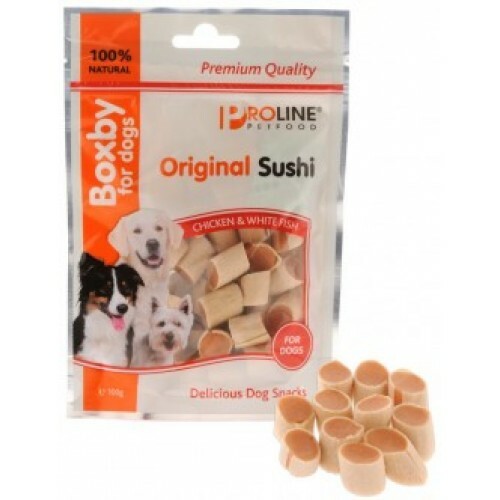 Boxby Original Sushi dog snacks are soft snacks made of chicken and pollack. 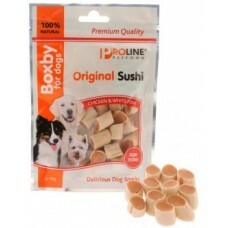 Thanks to their shape, they are the ideal treat to reward your dog during training. The soft texture of the dog snacks also makes them suitable for smaller dogs. With antioxidants and preservatives (EC additives).